You want some Basket Of Fires through? Ordered a pack,they didnt come so they resent another pack plus a free pack of a different variety so have plenty. Very kind squire but I’m all good - the seeds Lord S kindly sent through have now kicked on (baby cress stage) and so we’re officially out of the blocks and running. Each year I grow more than I could ever need and then give a load away (as pot plants) to friends and family to try and get them involved. Agreed,and always seems to taste so much better. I set enough seeds for us,one couple that i get shooting off,the old folk and a mate just up the road and they take as much as i can give.So easy,even if its just a few for a good sunny cill. Mine are growing well. Germination rate so far is pretty low (50% in some cases). I will re-sow the dud pots after a fortnight if there’s nothing going on. 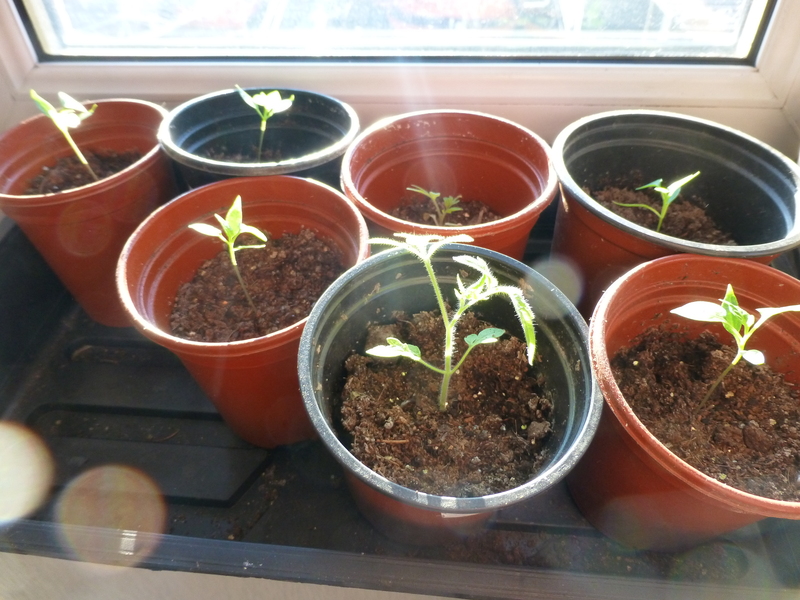 Luckily I had tons of seed from my Basque chillies last year, so I can afford to be generous! Washing up liquid in a weak wateres down solution - spray with one of those hand held squeeze pump sprayers. And yes, you’re right, white fly is a massive pain and chilli plants do draw them in especially inside perhaps where natural predators won’t (lady birds, wasps etc) get at them. 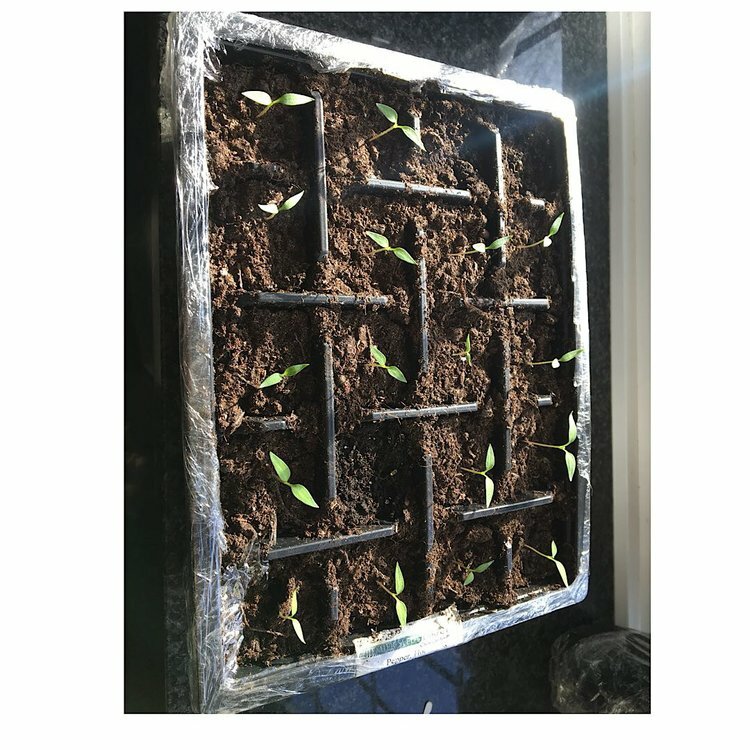 My chillis have been a wee bit hit and miss and have re-seeded quite a few so hopefully they come through. 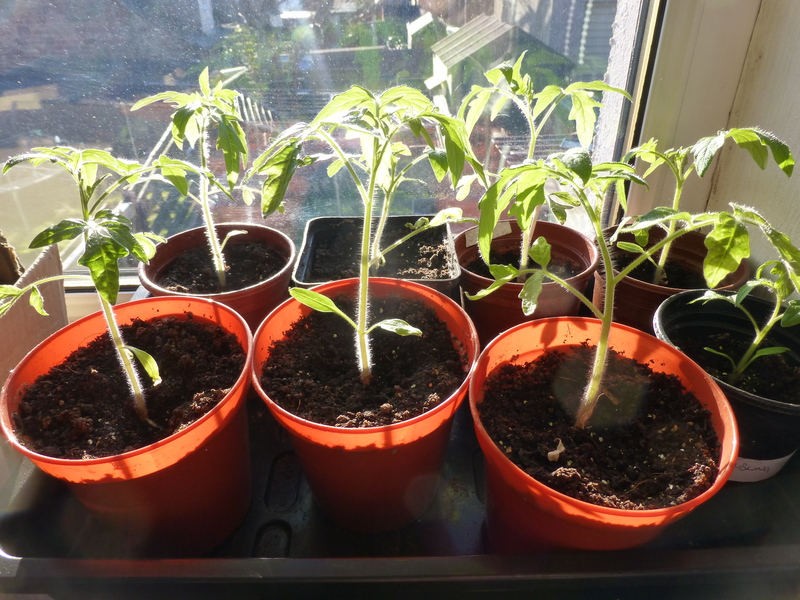 Toms are flying and potted deeper today for the second time so they should be fine. Clingfilm is the trick (seriously). Never fails. Take the top off when they pop through. 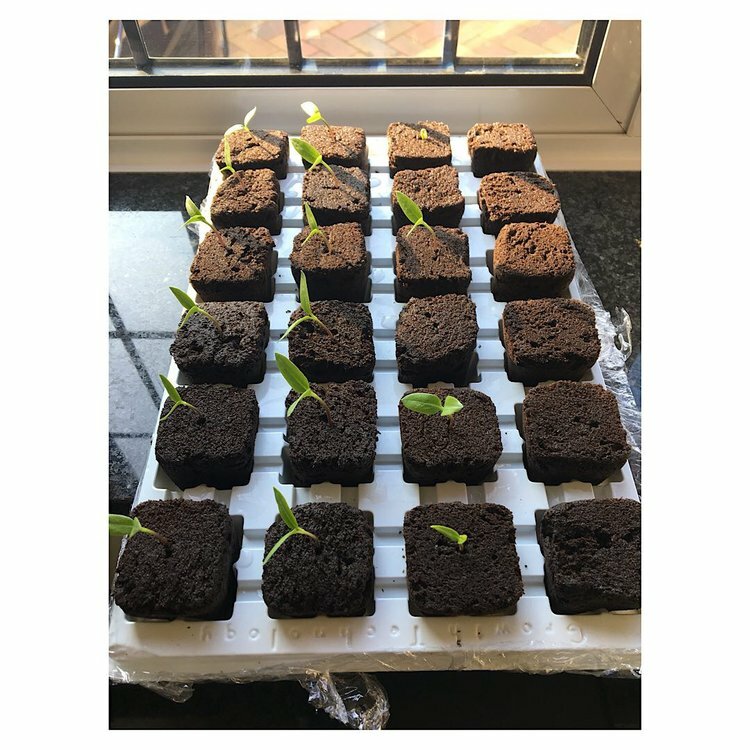 I tried a different seed medium for the LS chilli seeds given to me. They went in about 2 weeks ago and have just started to pop through and so the cling film topper came off this morning. The key is not to over water or the seeds rot - nice and damp is fine and the clingfilm keeps the moisture in and at a constant level). No, but you’re right it looks and feels like Soreen. Ever been tempted to have a go with a bit of butter? What is it then? Looks a bit of a "no mess" option which is always good when I'm using windowsills to start them off. 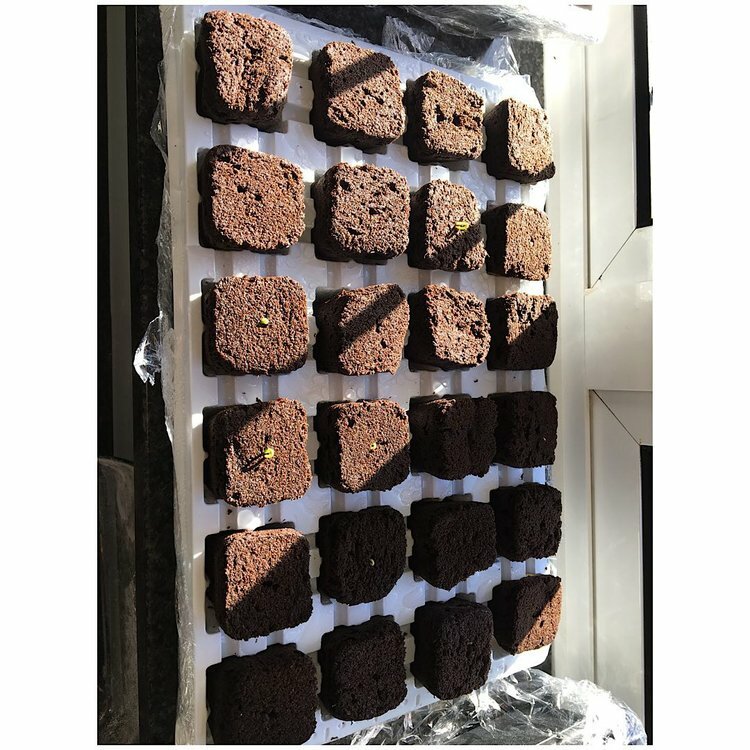 So, I did a seed tray load with the balance of the LS seeds provided (I had sown the bulk in individual small pots and cell divides seed trays as that structure works better as there’s less disturbance of the plant and root system). 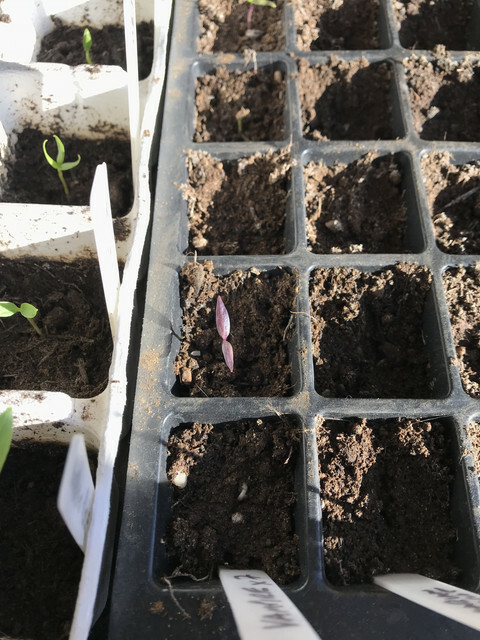 What is strange is that one half of the seed tray has taken and one half failed - it must be a heat / light ‘thing’ from life on the window cill. 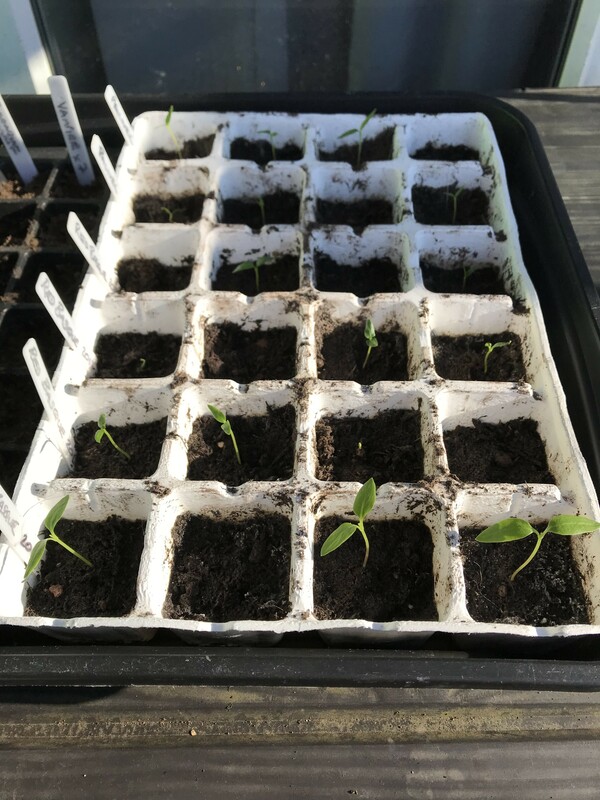 In the Seagrave propagator, the first of the “vampire” chillies has burst through and opened up. Purply-black from root to tip by the looks of things! not set any off yet. ordered some seeds and have some I collected from last year. Have some cayenne and birds eye from last year and a packet of patio sizzle. 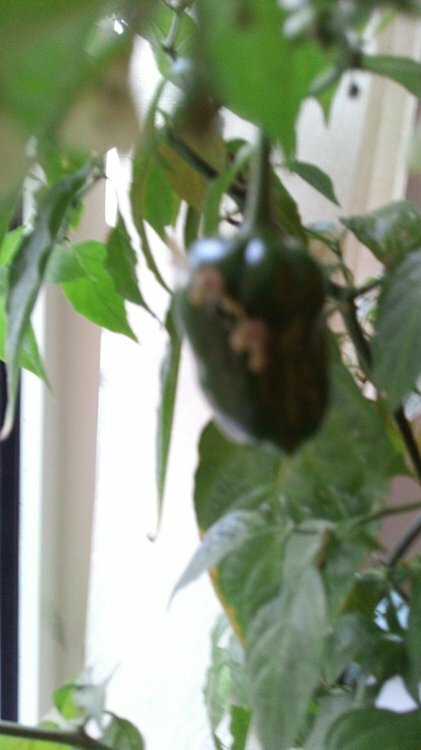 The habenaro I brought indoors last year produced many tiny very hot chillies. it's now on a growth spurt and starting to produce full size fruit. need to re pot it and give it a feed. 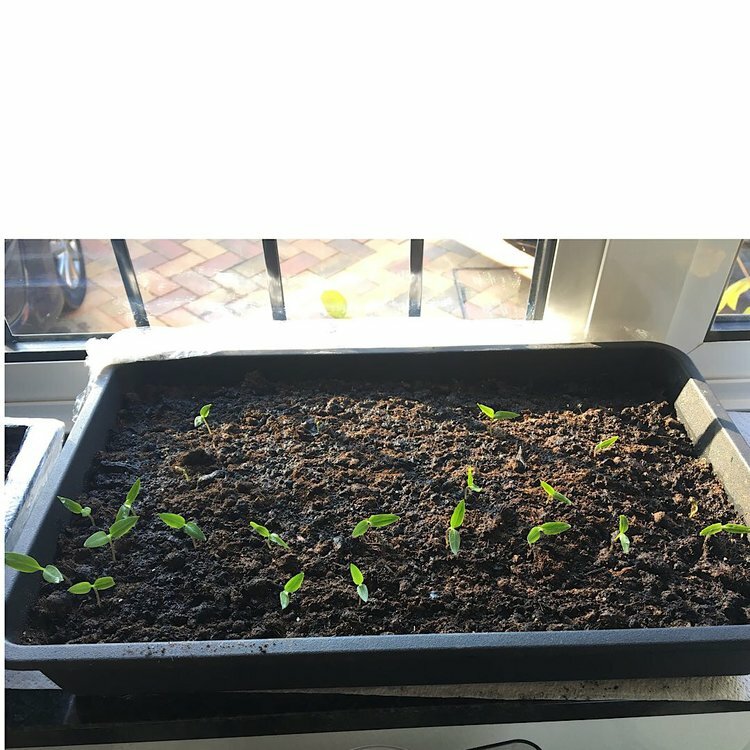 My F1 Apache chilli are up and running. Ready to ***** out into their own pots this week. 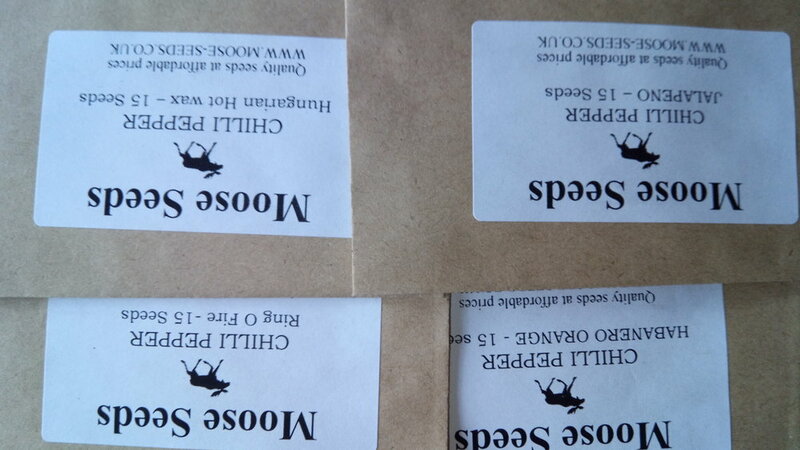 Got loads of them germinated so friends and family will be getting some. Prairie fire is a cracking window cill plant, stays small and gives loads of fruit. Quite hot raw but looses it's heat when cooked. 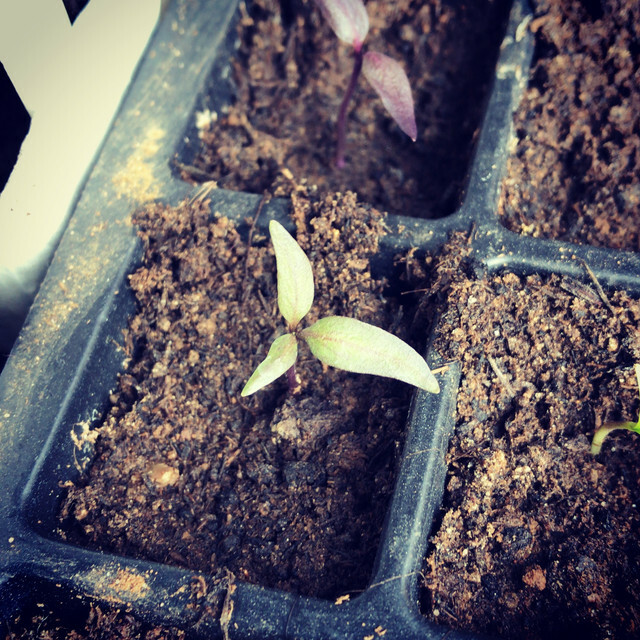 A very handsome tricot seedling amongst the “Vampire” chillis. It’s also slightly greener than the others (which are very dark purple). I have shoots!! They are beginning to break dirt. I never label what's gone in where, so I love the fact that I haven't a clue what's coming up - It's like a chilli advent calendar! Everything through and have about 50 altogether but will spread between a few folk. 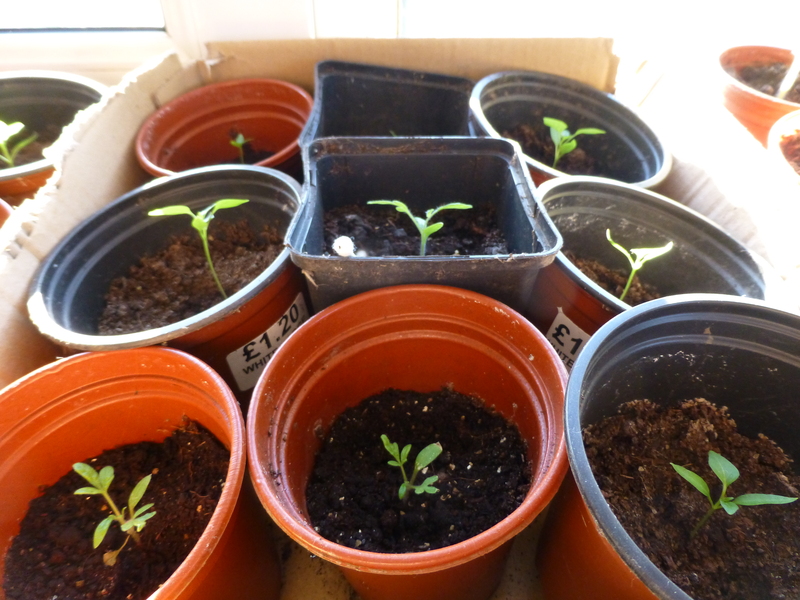 Toms very healthy and chillis coming on although had to re-seed quite a few that never came.